Starting a new business? Have an ingenious idea that you can’t wait to share with the world? Then you are probably thinking about building a website. Before getting started, you’ll want to consider registering a domain name. 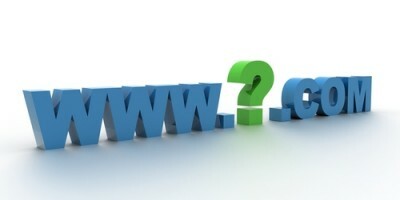 Choosing a domain name is similar to choosing a company name it requires a lot of thought and consideration. Your domain name is your identity on the Web; you want to make sure you choose a name that not only fits your business, but is also easy to find and promote. Use short, easy to remember keywords that describe your business. The website’s name should reflect your company’s name, describe the services and/or products provided, or describe what’s sold. Keep the name as simple as possible, so customers can remember it. Typically the best names are usually the key words of the name of the company. Follow these steps to help you pick the perfect domain. The first thing you should do is consider what urls are available to you–then choose your brand name accordingly if you can. Be creative–do your research and see who else is using that name or anything similar. Be original, exciting and innovative when naming your brand–the same way you should be with your product. Your domain name should match your brand. Always choose one that doesn’t need explanation. Here’s a list of twelve domain name helper tools. Try using keywords that describe your business and the services you offer. For example; if you’re a glass replacement business, you may want to register GlassRepair.com or GlassReplacement.com. Include the keywords that people enter when searching for your products or services. It helps improve your rank on search engines (which increases traffic) and just makes more sense to your customers. If your domain name is long and complex, you risk customers mistyping or misspelling it. Short and simple is the way to go. Be short, catchy and memorable! You should also make your name easy to pronounce and spell. Finding a domain name that’s easy to type is critical to online success. If you use slang (u instead of you) or words with multiple spellings (express vs. xpress), it may be harder for customers to find your site. Make sure you’re not infringing on anyone else’s copyrights. 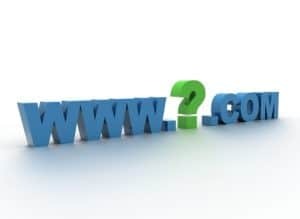 The .com TLD (top-level domain) is by far the most widely accepted extension for a domain name. For obvious reasons, it is also the easiest to remember. When you tell someone to go to your site, in most cases they are going to think “name/business name.com” so try to stick with a .com if you can. NameStation – Generates a list of available domains based on a submitted word. Domaintyper – Checks domain name availability instantly. Domain Pigeon – See what others are looking to register as a source of inspiration. Domainr – Type a work and it will find “domain hacks”. The creative process of choosing a name for your website is just as important as choosing a design for it. Just as you need a rational, strategic way to run your business, finding a memorable and successful name for your website requires that same rational strategy.